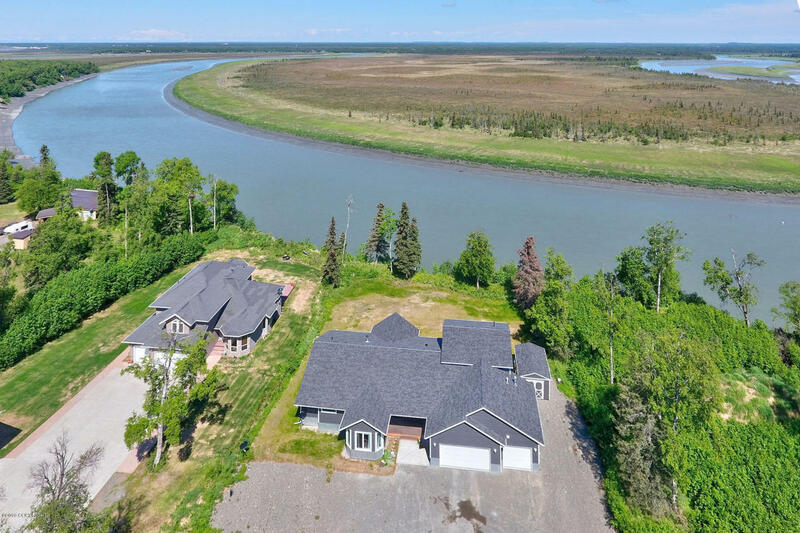 KENAI RIVERFRONT DREAM HOME! Finished in 2017 & like BRAND NEW!Gorgeous high-end custom in RIVER HILLS-3418 sf. Granite countertops throughout,specialty lighting,high quality flooring & gas fp. Top level family room/guest suite w/bath & Trex deck. Chef's kitchen w/double ovens,huge island & farm sink. Spacious master w/2 closets & spa bath. Mtn & Kenai River view,shed,circle drive & 3 car garage.